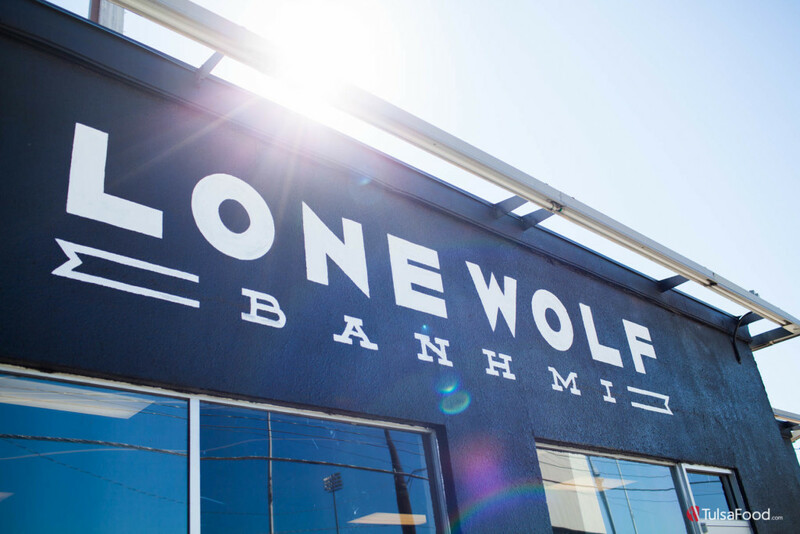 Lone Wolf Bahn Mi has cultivated a pack of ravenous followers that stalks their trucks through the streets of Tulsa, hell-bent on satisfying their craving for kimchi fries. The trucks have roamed the Tulsa territory for years now, never staying in one place for long, always leaving fanatics wanting more. But this August, Lone Wolf became a little more domesticated, taking up residence in a brick-and-mortar “den” on Route 66. 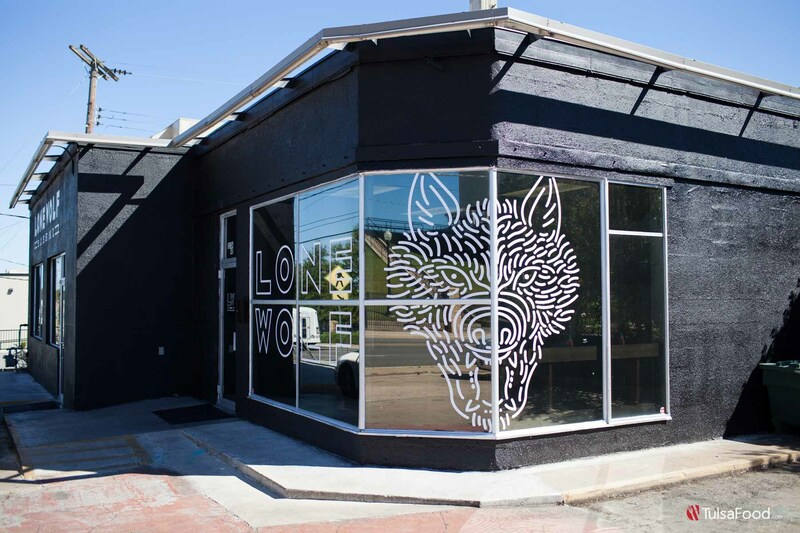 Located in prime University of Tulsa terrain, Lone Wolf is the latest tenant to inhabit the otherwise ill-fated location at 3136 E 11th Street, which has been host to numerous swing-and-a-miss concepts. 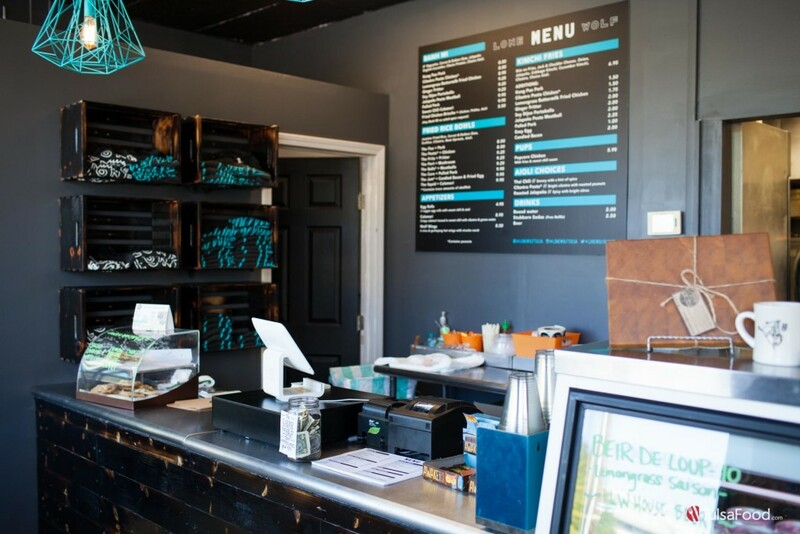 But the neighborhood has already opened its arms to owners and food truck upstarts Philip Phillip VII and Danielle Phillips. “This space has been amazing. We always knew we had a built-in clientele, our “pack” of followers. But it’s been eye-opening to see the influx of new customers,” says Philip. The restaurant has already seen two to three times the business. Part of the increase can be attributed to being able to consistently open its doors. 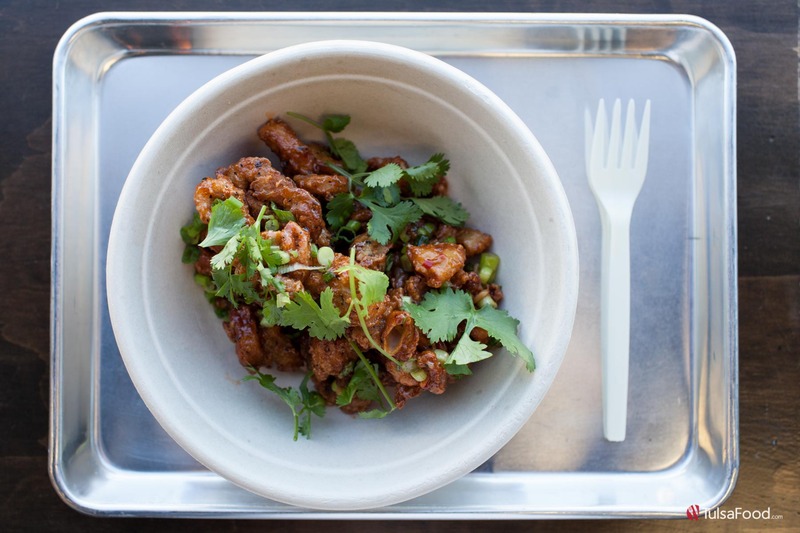 The new space has given Lone Wolf the chance to expand on its already popular menu. 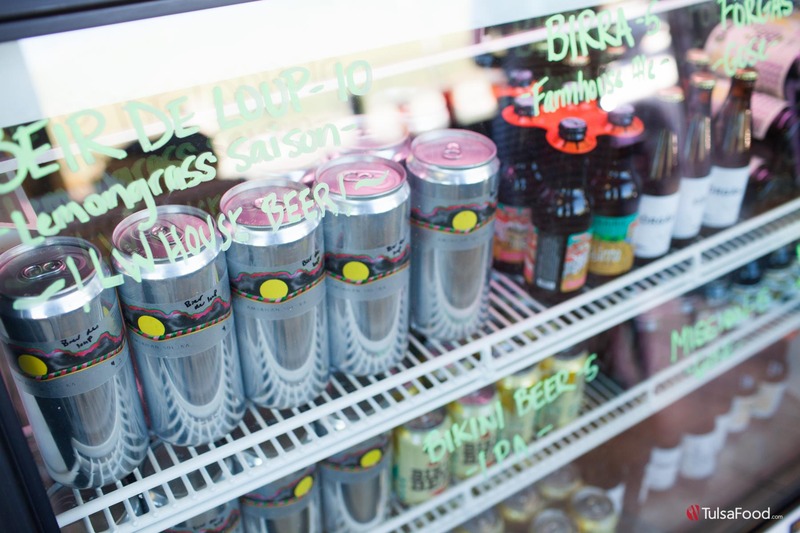 “We have way more room for prep and refrigeration, so we can store a variety of products,” says Phillip. The result is fun new items like the Ginger Fritters, a vegetarian option that combines ground chickpeas, reconstituted lemongrass, ginger, green onion, chili paste, overcooked rice and a small amount of flour that is then deep fried, creating a creamy fried hummus concoction perfect for dipping in a signature aioli. 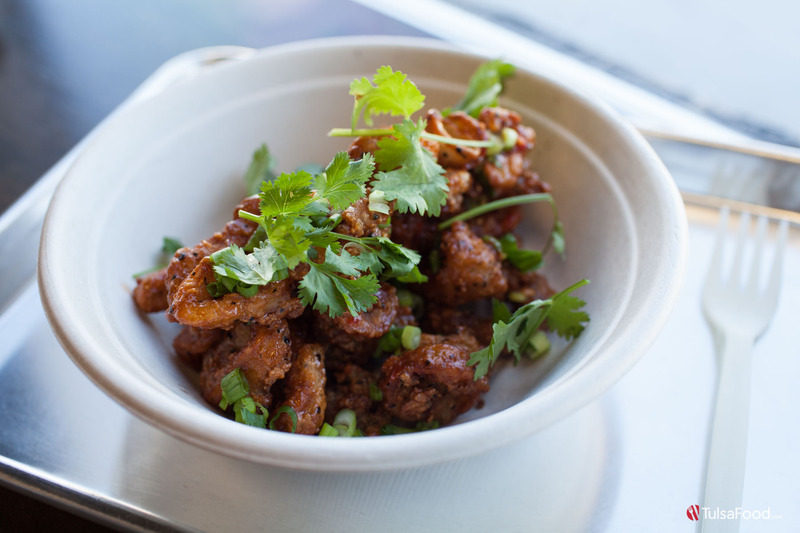 The Crispy Calamari is sure to become a new LW favorite. Tender rings of calamari are lightly breaded and fried, then tossed with a sweet and spicy (but-not-too-hot) chili sauce, served with your choice of aioli. 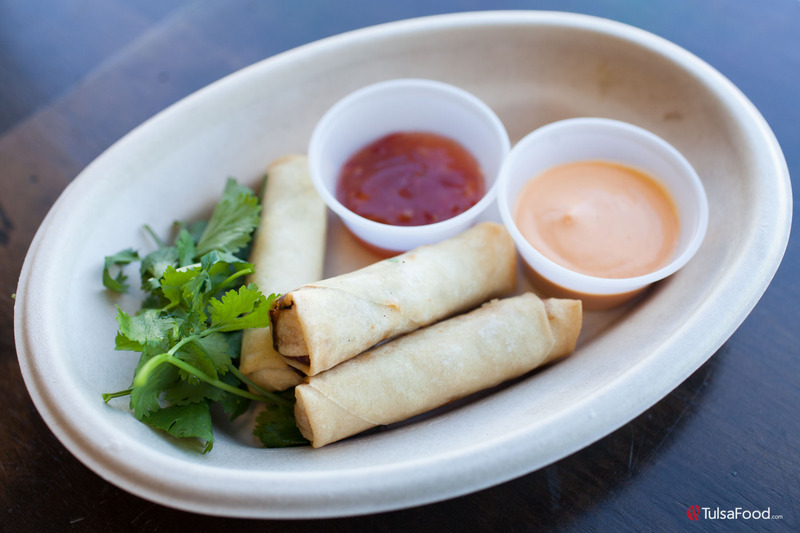 These little rings of fried, sweet and savory happiness can be transformed into a bahn mi, salad, or order up “The Squid” for a fried rice bowl preparation. 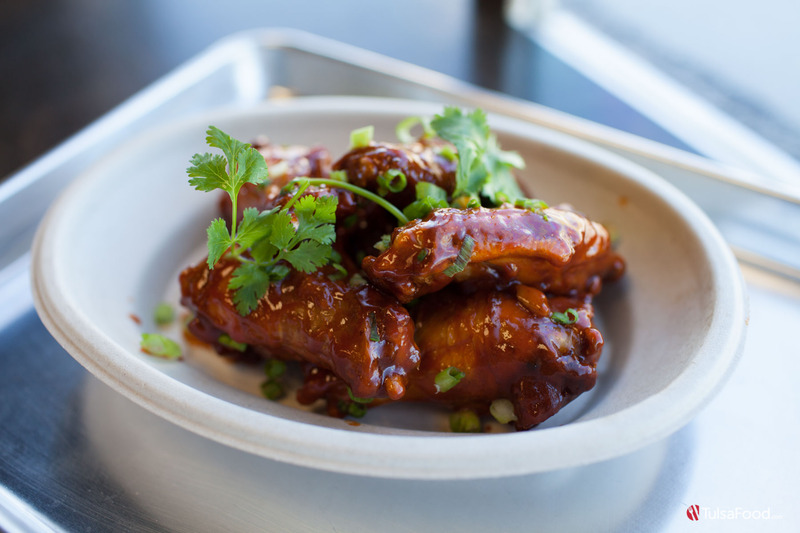 Phillip, a self-identified wing enthusiast, implores Lone Wolf fans to “EAT THE WINGS!” The Wolf Wings with white miso and gochujang are an excellent example of Lone Wolf using obscure ingredients to create unforgettable dishes. These formidable wings are brined overnight in black tea, lightly fried then tossed in the luxurious sauce, served with a side of Sriracha ranch. These wings fire on all cylinders – smoky, sweet, savory, and slightly spicy. 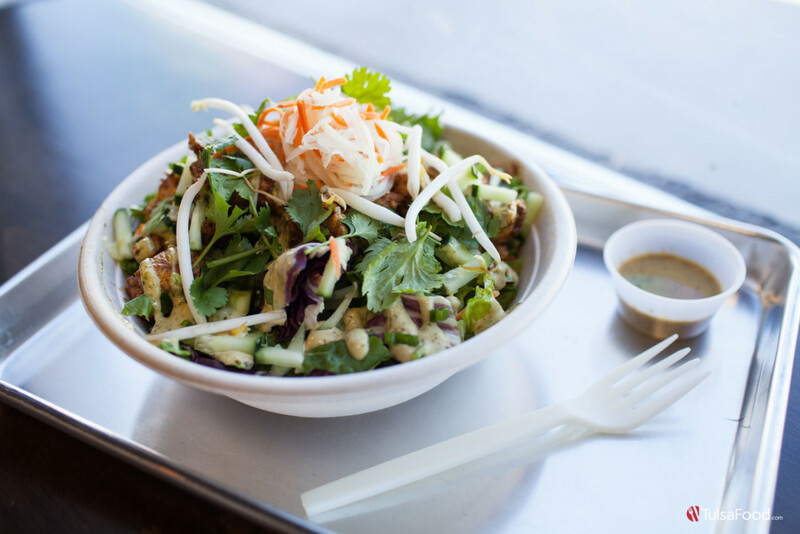 Of course Lone Wolf still has its full line of uber-popular Bahn Mi, but now it can transform any of them into a salad. (Gluten-free folks, rejoice!) The Cilantro Pesto Bahn Mi features fragrant slices of chicken on a verdant bed of romaine, topped with colorful spirals of pickled carrot and daikon. The pesto cilantro vinaigrette brings it all together, while the addition of the jalapeno aioli gives it that Lone Wolf kick in the palate. Definitely a lighter way to get all those crave-able bahn mi flavors; but absolutely not a replacement for the real deal. A great variety of craft beers call the Lone Wolf cooler home, and can be purchased to-go (unopened) or enjoyed onsite. American Solera was tapped to brew a lovely house beer – a lemongrass kefir leaf saison – which comes in a monster 36-ounce can. 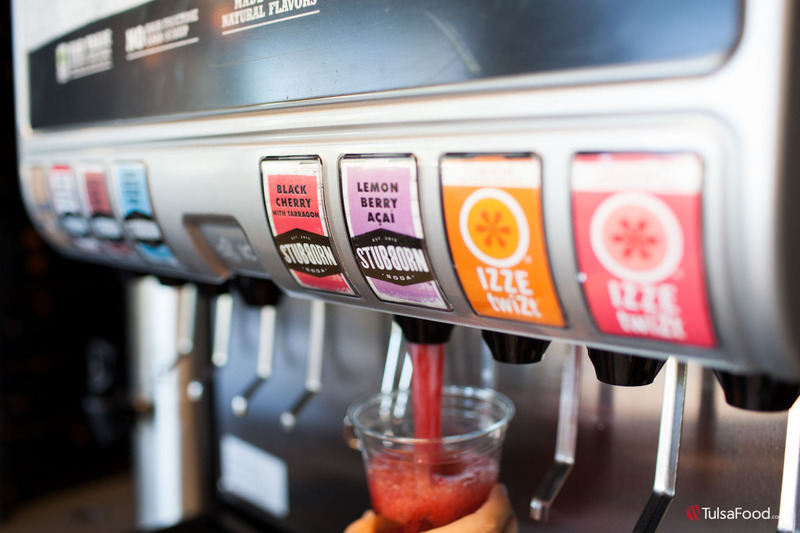 Lone Wolf is the first in Oklahoma to have Stubborn Sodas on tap, which is an all-natural soda company out of Texas. 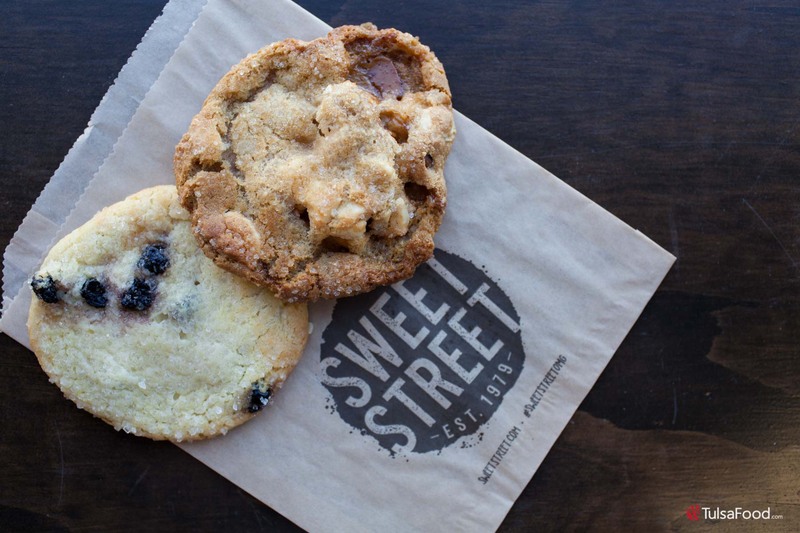 They also carry Sweet Street Cookies, which Danielle describes as “the cleanest cookie on the market,” with all-organic and non-GMO, fair trade ingredients. With flavors like Double Chocolate, Lemon Blueberry, and Chocolate Pretzel Salted Caramel, you’ll want to make room for dessert. 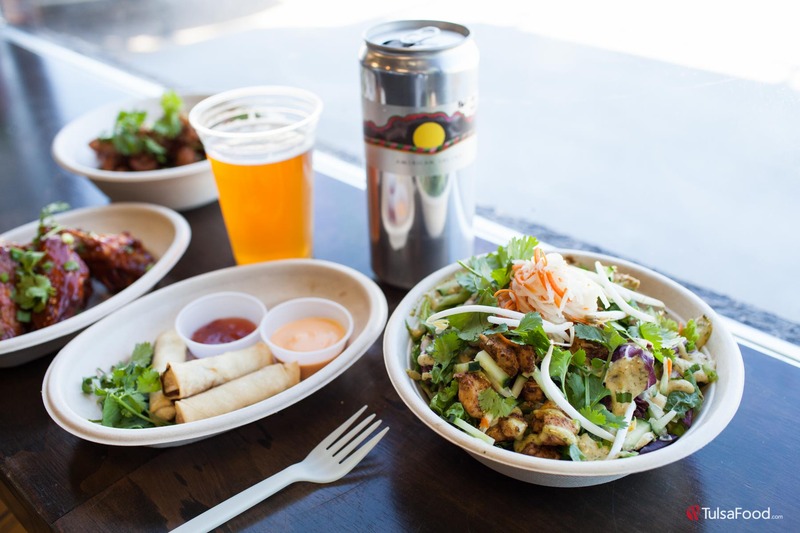 Despite all the new additions, Lone Wolf Bahn Mi will “always be Tulsa’s spot for bahn mi and kimchi fries,” says Phillip. The truck will still be at major events, Food Truck Wednesdays and occasional weekend appearances at Fur Shop; but the 11th Street location will always be open Tuesday through Thursday 11 a.m. to 10 p.m., and open until 11 p.m. on Friday and Saturday. 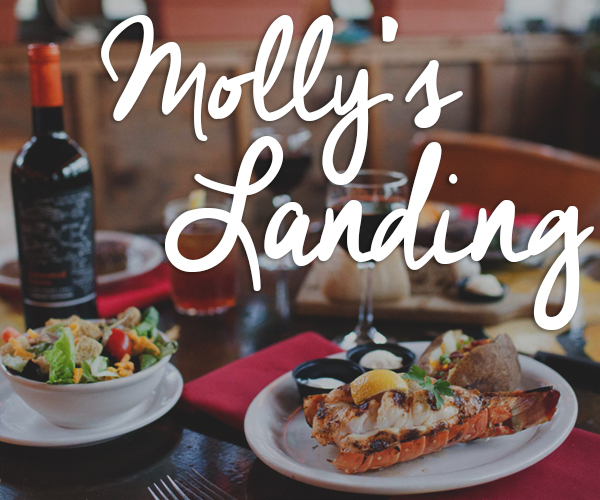 University of Tulsa students get a 10% discount with a valid ID. Lone Wolf will be rolling out their brunch menu soon along with regular weekly specials.